If you’re an avid reader, you may recall some familiarity with the phrase “Triumph & Disaster” – it’s from a line in Rudyard Kipling’s poem “IF.” Specifically: “If you can meet with Triumph and Disaster / And treat those two imposters just the same.” The poem, which details a father’s advice to his son, is about humility, honor, risk, and reward. Triumph & Disaster founder Dion Nash received the framed poem from his father when he was a kid. 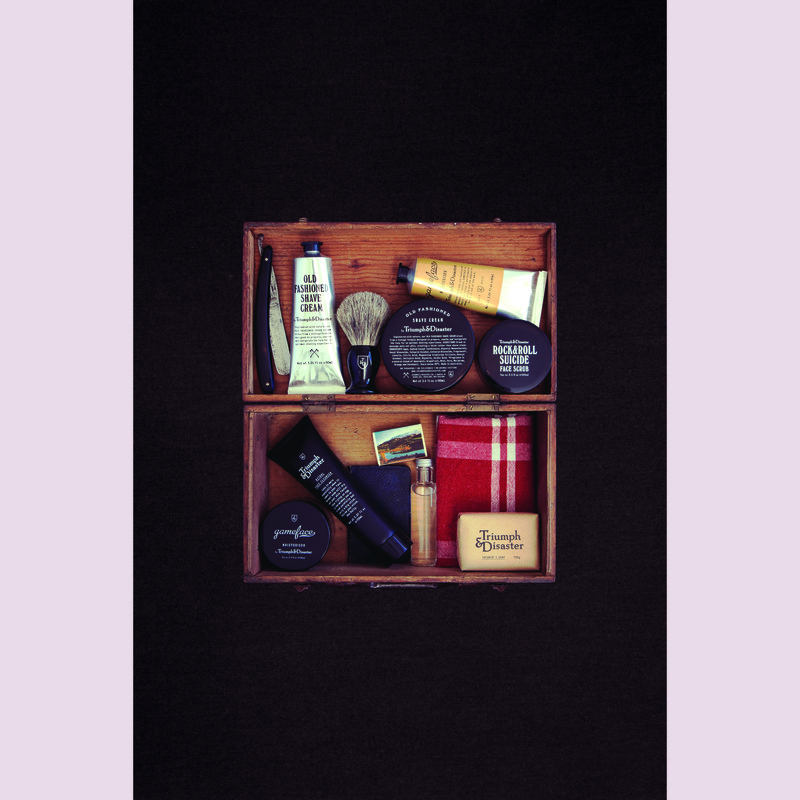 More than two decades later, he found the poem at the bottom of an old chest and merged these values – as well as the memorable phrase – into his New Zealand-based men’s grooming line. In fact, Nash has a thing for memorable names. The former professional cricketer and skincare enthusiast (the two are actually more related than you’d think) dubbed his clay face scrub Rock & Roll Suicide (after a David Bowie song) and his popular facial moisturizer Gameface, a nod to his sports past. Sourcing local indigenous ingredients from New Zealand, Australia, Polynesia, and beyond, Nash ensures each product is thoughtfully conceived and not harmful to nature or humans. We were delighted to talk to Nash recently about many facets of his skincare line, from the line’s beginnings to product packaging to the importance of men remembering to take care of their skin. Tell us the story of how Triumph & Disaster began. I started out in life as a sports jock. A cricket-mad sports jock to be precise. I chased this as far as I could and was lucky enough to play professionally and represent New Zealand for a decade before retiring due to a series of back injuries. In hindsight this was a lucky twist of fate as it gave me time to refocus and have another dig, so to speak. 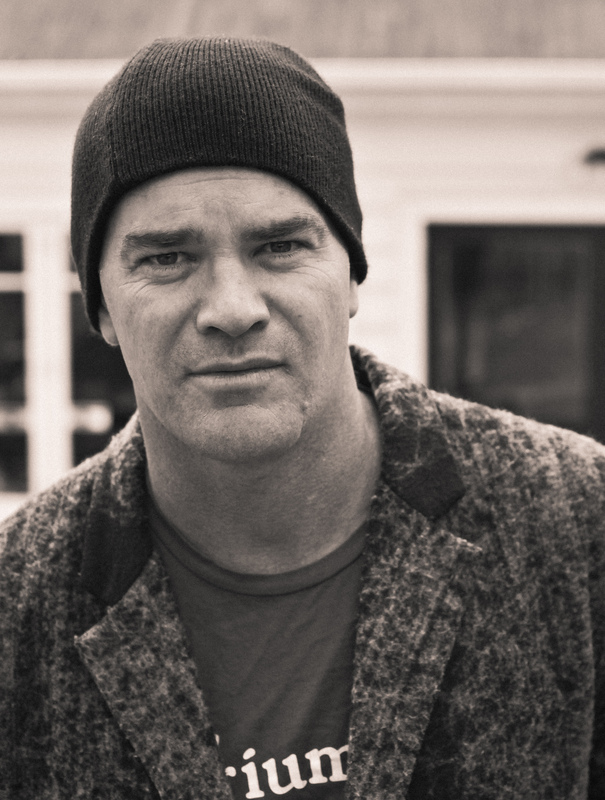 After sports I ran into Geoff Ross and the guys setting up New Zealand Vodka brand 42Below and hung on to their shirttails long enough to learn a bit about selling, branding, and marketing, all of which sort of leads me to today. Skincare was a more natural calling that you might think – it’s actually very close to a cricketer’s heart because when you stand in the sun and wind every day for hours on end you learn to appreciate the finer points of a moisturizer and sunscreen and the joy of exfoliation. So I felt like I had an industrial knowledge of the category, and I had learnt some skills I wanted to put into practice. The name comes from Rudyard Kipling. At about 13 years of age my father gave me a framed poem called ‘IF’ by Rudyard Kipling. The poem is advice from a father to his son on how to be a man. It is about humility, honour, risk, and reward. Values that would help mould a brand capable of reminding us that acts of ritual and preparation are worthy endeavours and that being well presented is something of which to be proud. You played for the New Zealand cricket team in the 1990s! Any special memories? It all feels like another life ago now. I’m extremely proud of it and we had some wonderful moments (and some disastrous ones). Overall I just feel blessed to have had the chance to do it. It has given me a huge amount of confidence and also a very unique perspective on life and this adventure we find ourselves in. Before Triumph & Disaster you worked for the vodka company 42Below for quite some time. Why the jump into men’s skincare? Truth is Vodka’s a young man’s game : ). Actually I just wanted to have a go at my own thing and as I have said I felt I had a real advantage in this category. I had used the products since I was 18 and had been exposed to/had to survive outdoors under the sun. I had worked out a routine. At 42 below I learned about branding and marketing, so I really just put the two together. Why did you decide to base your products in natural ingredients? There really is no excuse to use synthetics and nasty chemicals anymore. Perhaps there never was. The lasted green science is better than anything else out there and utilizes ingredients that the body has become familiar with over thousands of years in nature. Therefore these ingredients are gentler on the body. It was a simple choice, especially when you start to dig into some of the ingredients that have become commonplace. Take denatured alcohol for example – it’s only there as a form of paint thinner. It has no place in skin care. We hear your Gameface moisturizer contains natural ingredients traditionally used by Maori warriors? We do use many indigenous New Zealand plants that were also used by Maori in their medicines. Many of these how now been clinically proven for their effectiveness, particularly in toning, antiseptic, antifungal, and antioxidant properties. Gameface uses ponga fern, which only grows in New Zealand and has been proven to lift and tone skin – it’s awesome like the Maori. 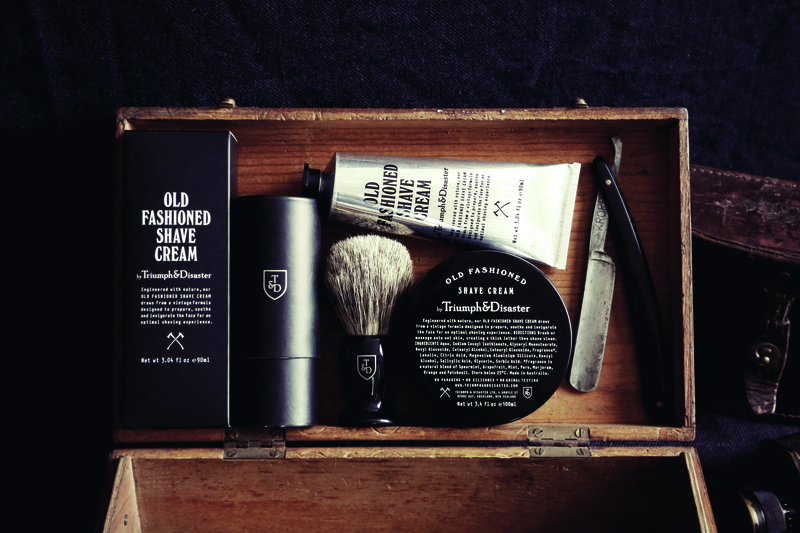 We love the vintage barbershop feel of your packaging. What was your aesthetic inspiration? We referenced too many points to recount fully, but it was as varied as rock ‘n’ roll album covers, long-forgotten fonts, and old gig posters. We are now stocked in over 400 stores globally, including great accounts like Selfridges in London, Fred Segal in LA, and Harrolds in Sydney. 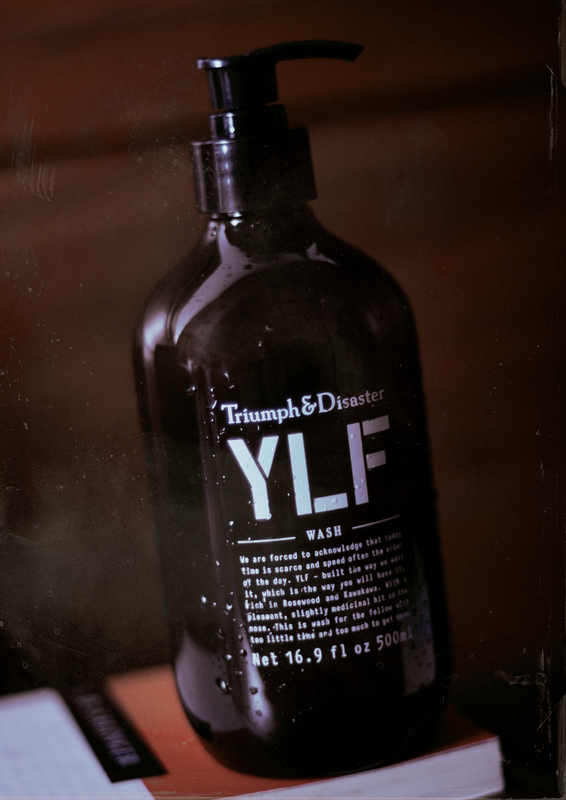 We were voted by Details magazine as one of the top five independent brands to watch for, and Men’s Journal voted three of our products into their Top 20 Best Men’s Products (YLF got first, Rock & Roll Suicide got 3rd and Gameface Moisturiser got 9th). More than those achievements, though, is the sense of growing a great and loyal team around the world. We all sense the best years are still ahead; we have a lot to get done. What is one Triumph & Disaster product every man should own and why? Rock & Roll Suicide. Firstly, guys really need to exfoliate, even more than girls. We have larger pores and generally oilier skin, so cleaning it out, drawing out the dirty oil deposits, and taking away the top layer of dead skin is essential to an oil-free surface. 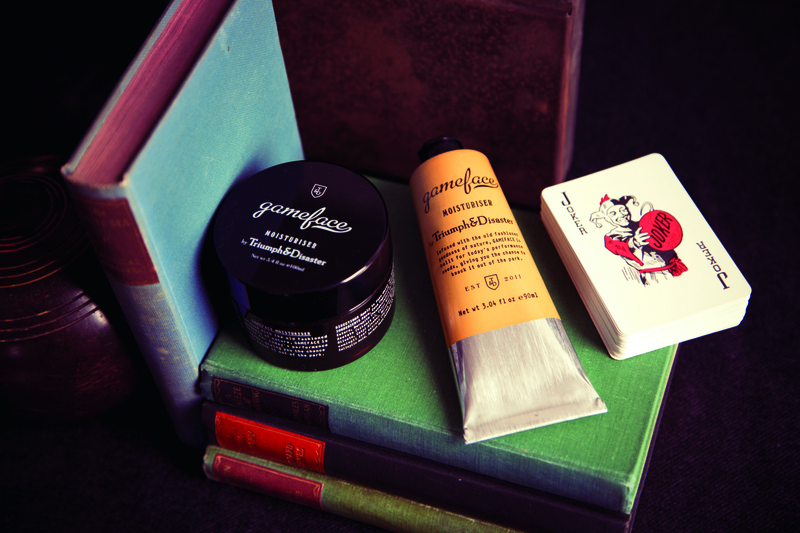 Rock & Roll Suicide is our all-natural exfoliator designed to do just this job. It has two types of clay and volcanic ash that act to draw out and then slough away the impurities. It is named after a David Bowie song and is a game-changing product – a must, must have. Use twice a week: Once for business, once for pleasure. Any new product releases we can expect in the near future? Hair care has just launched and we are focused on that at this stage. We also have a body moisturiser that has launched in Australia that will be made available this year to the rest of the world. Everything else is top secret : ). Smells, always smells, I think I have a predisposition or hypersensitive nose, but whatever it is I love smells of all kinds. The Ivory Coast – I know nothing about it, but it seems to me that the best way to find out is to visit. Learn more about Triumph & Disaster on their website. Follow Triumph & Disaster on Instagram, Facebook, and Twitter. 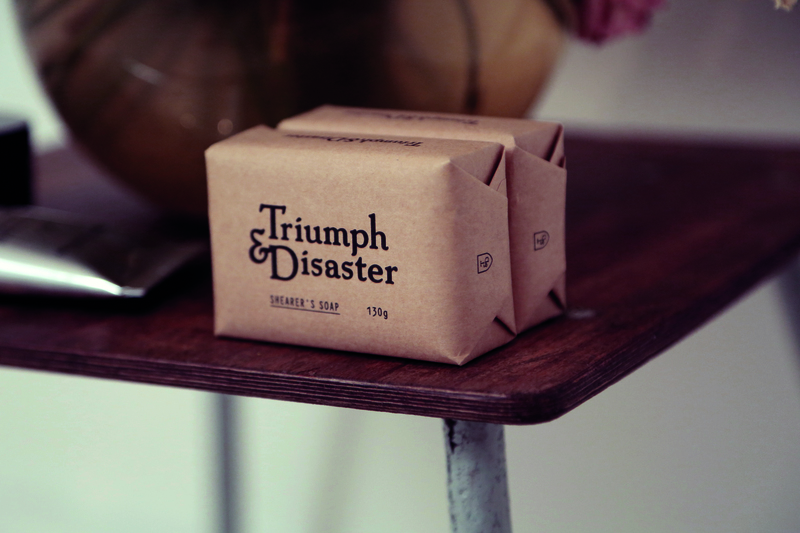 Shop Triumph & Disaster products at RoyalShave. Thanks! We had a great time interviewing the founder and learning about his incredible cricketing background that led to the creation of the brand. Check back for more behind-the-scenes interviews with the brands we carry!